Here’s something not even the capricious Horse Racing Gods could have predicted: Hall of Fame jockey Chris McCarron sorting cattle, mounted on an OTTB, at Pimlico Racecourse. Life is strange and full of wonders. But I could be wrong. Cattle sorting enthusiasts, set me straight! What’s happening here? So I encourage you to watch this video with fresh eyes, not just an OTTB doing his job, but an OTTB being asked to do something entirely new! And accomplishing it with relative aplomb! When I think about how many horses I’ve been on who have taken one look at a cow in the far distance and decided it was halfway past time to head for the hills…. This guy is an inspiration! And so without further ado, straight from the Thoroughbred Makeover and National Symposium to you, Chris McCarron sorting cattle, on an OTTB, at Pimlico Racecourse. When the Retired Racehorse Training Project announced their Thoroughbred Makeover and Symposium a few months ago, October seemed forever and ever away. Heck, I even thought I might make it to the event. I’d make plans… eventually. Closer to October. Or so I thought. The Makeover is slated to be the star event, when more than twenty riders from across the country and from a variety of disciplines will show off what they’ve accomplished in the past three months with their project horses, all off-track Thoroughbreds with no further training than the races. And in-between demonstrations there are some pretty unique exhibitions on offer: Chris McCarron’s “Ride Like a Jockey” (something I think all of us should learn how to do), presentations on hunting, show hunters, polo, show jumping, Pony Club, eventing, and dressage; and perhaps the most intriguing/bizarre: Who Let The Cows Out? This event, which ties in with the western presentation, will feature jockeys trying to pen cattle, because of course. But the symposium forums look especially interesting. I wouldn’t miss these: a session on the business side of Thoroughbred retirement, a trainer’s forum featuring a panel of Thoroughbred experts: Rodney Jenkins, Cathy Wieschoff, and Hillary Simpson, and an open forum on the future of racehorse retirement and the racing industry’s involvement. There are also sessions on soundness, sales, and healthcare which will doubtless be very informative, especially to the newbies who are looking for their first OTTB. Here’s the full schedule of events. It’s going to be a very educational weekend at Pimlico, and I’m definitely jealous of everyone who will be attending! I encourage anyone who wants to share photos or trip reports to email me (natalie @ nataliekreinert dot com) and I’ll post them here at Retired Racehorse with your byline! What are you looking forward to most at the Thoroughbred Makeover and National Symposium? This week the racing world prepares for the Preakness Stakes. As all the racing journals focus on the stories behind the trainers who are prepping their three-year-olds for the second leg of the Triple Crown, so the sporthorse writers are featuring the human (horse) interest stories in that mysterious racehorse world. 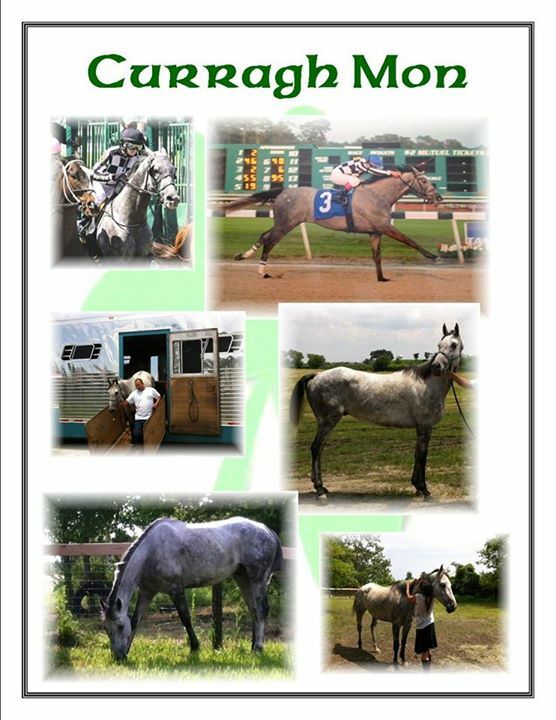 In doing so, an interesting angle has arisen: the old training models of a man lauded as a True Horseman, Shug McGaughey, and the new training methods of a group of dedicated horsepeople who are providing “before-care” for their racehorses. In The Chronicle of the Horse, there is an article on Mosaic Racing Stable, a small, New York-based operation whose horses aren’t just galloped around a track. They also learn skills that will come in handy in their second career: a laudably lucid forethought in a business where it’s nearly a given that a horse will need a second job by the time he’s just reaching maturity. 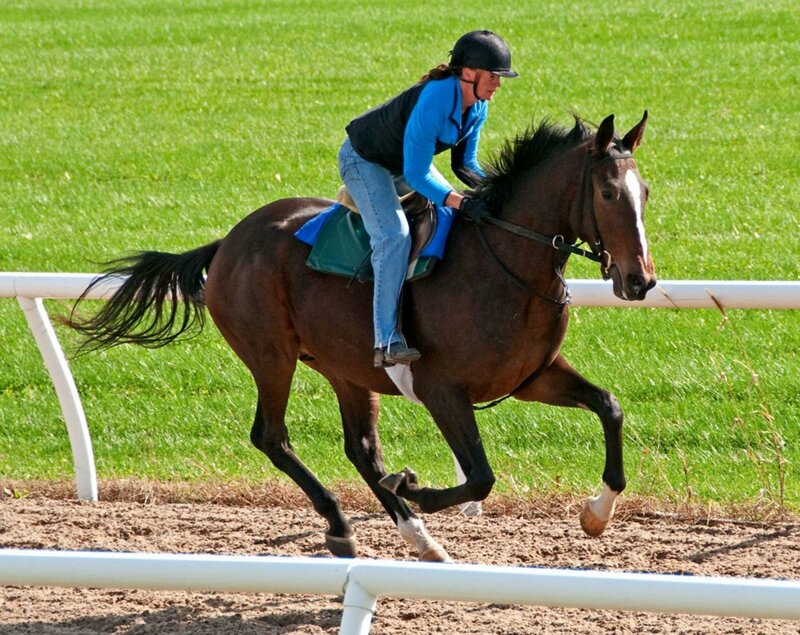 If Mosaic Racing Stable is a familiar name, that might be because contributor Fiona Farrell wrote about their unique training style here at Retired Racehorse Blog last March. 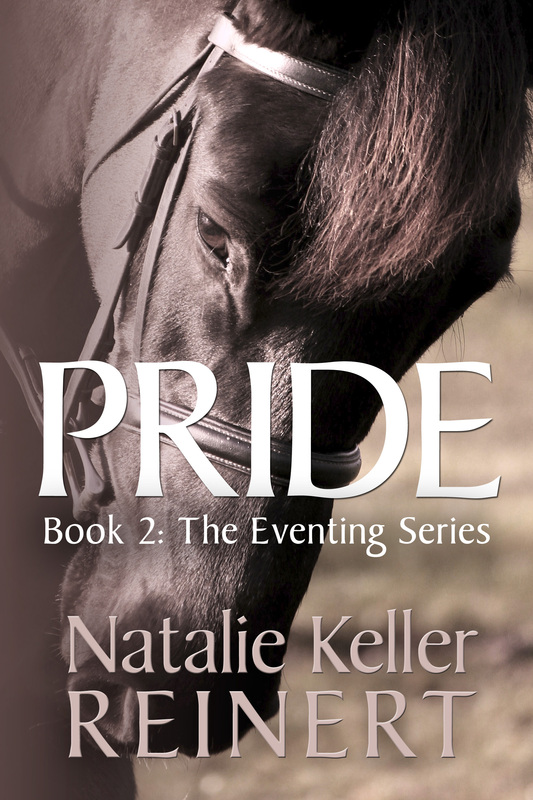 Horses learn to bend, go over cavelletti, and walk on a loose rein. It’s not such a go-go-go life for them, and they reward Mosaic with performance: their first racehorse, Vicarious, won more than $100,000 at the racetrack. And that brings us to the other story of the week, the connections of Orb, the handsome Kentucky Derby winner who will try to bring home the Woodlawn Vase, the silver trophy awarded to the winner of the Preakness Stakes each year. There are many articles out there about Shug McGaughey, Odgen Mills Phipps, and Stuart S. Janney III, and I can’t add much to them, only quote them here. I do know what when Orb (not the horse I had money on) came in first in the Derby, I agreed with my husband when he said “Good for Shug!” This is a man you think of as a horseman in the best possible way, not just in the way that there is a horseman’s entrance at the track. A true horseman. Why, when there are a lot of fellas in the horse-racing game who have been training for a very long time? Well in McGaughey’s case, just for starters, you have the pristine record. One drug violation in 34 years, and that one, he says, was a veterinarian error that he felt very badly about. “I try to do what’s best for the horse,” McGaughey tells Sports Illustrated. Orb was bred by owners Ogden Mills (Dinny) Phipps and Stuart S. Janney III, longtime horsemen with deep roots in the history of the game. Like earlier generations, they breed horses with the primary goal of racing them, hence their emphasis is on steady development, rather than sudden growth for a stunning appearance in the sales ring or while working a fast eighth of a mile at a two-year-old sale. Good horses, bred to run. Good trainers, training instead of medicating. Good people, teaching horses the skills they’ll need in the future, beyond the racetrack. It’s been an interesting run-up to the Preakness. I’m looking forward to seeing what all of these good folk bring to the table next. Well, let’s not go that far. I don’t have time to be your agent. But I’m the one that’s telling you about this awesome opportunity. 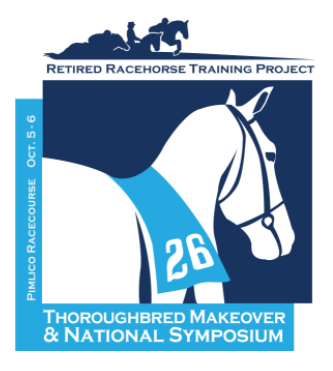 The Retired Racehorse Training Project, continuing their grand tradition of producing top-of-the-line Thoroughbred education and showcasing projects, are looking for 26 trainers, who will select and train 26 horses and show them off before a massive adoring crowd and a panel of judges at the RRTP Thoroughbred Makeover and National Symposium on October 5-6 at Pimlico Racecourse. That was a long sentence, I apologize. But here’s the thing — this is the chance for your OTTB project horse to be seen on a national scale. You know you do good work — your horses know you do good work — the happy smiling people who buy your horses know you do good work — but who else knows? This is an amazing opportunity to showcase not just retired racehorses… but your ability to work with them. I would have done this in a heartbeat just a few years ago. Can you imagine Final Call in this sort of project? In less than six months he went from racing to winning a hunter pace and we could be famous stars at Pimlico. Maybe not famous stars. But definitely feeling that way. Anyway, time is limited, and you need to put in your application by May 17th. The application requires a lot of writing, as you’re going to be asked about your experience in competition, training retired racehorses, training racehorses, what sort of facility you’ll be keeping the horse at, etc. etc. etc. There’s also a request for videos. Once the trainers are approved, they’ll need to find a racehorse to reschool. The horse has to be just that — a racehorse, who has had no other training. So anyone who is thinking of giving this a shot needs to be well-versed not just in training young horses, but in training racehorses. I can’t help but think that someone who has worked with racehorses is going to have an advantage here. Many people work with OTTBs who have had a leetle bit of retraining first. Just a little. That’s not what the RRTP folks are looking for here. The presentation at the National Symposium in October does involve a panel of judges who will provide feedback and commentary on the horses, but there will be no winners announced. Everyone who appears at the symposium with a horse will receive a check for $1,000. Get the full details at the RRTP website and don’t forget to keep me posted.